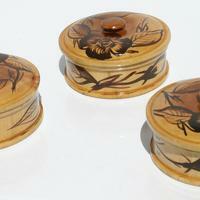 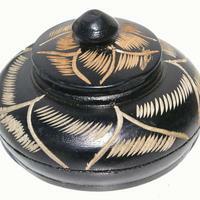 Handmade black wooden basket with top. 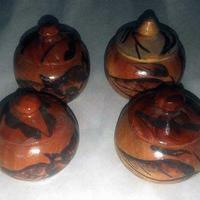 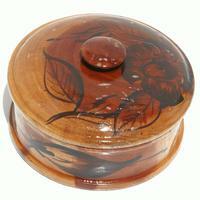 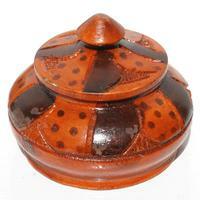 Round wooden box with Haitian ornament. 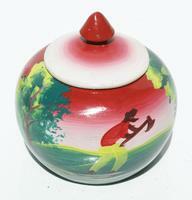 Diameter 11cm, height 6.5cm.